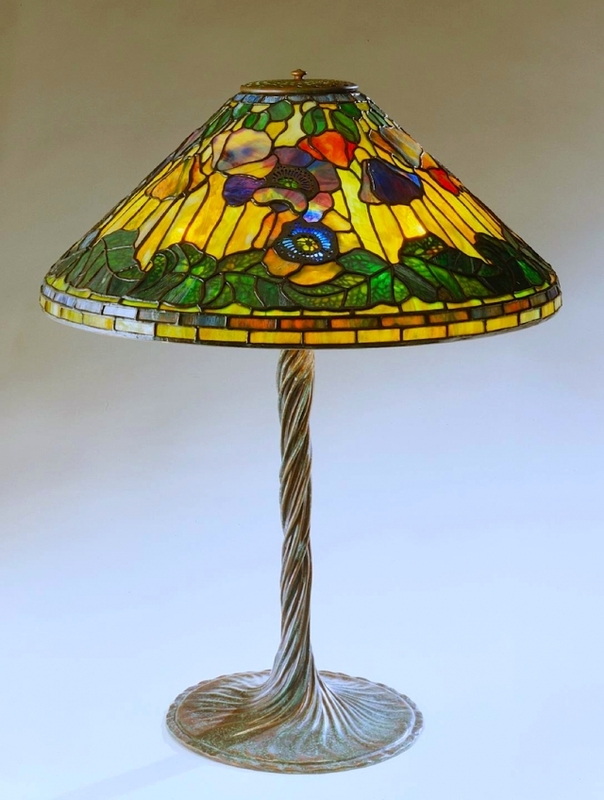 The 20″ Poppy shade is one of the most popular Tiffany Studios shade designs. The shade can be created in any color scheme and filigree on both the leaves and flower centers give the shade a unique appearance. We created this shade as a showroom piece over 25 years ago using Lins glass. The shade is shown on the Twisted Vine base. 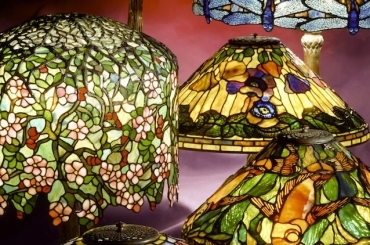 This lamp is in a private collection.